Russia and India are discussing a delivery of three new guided missile frigates for the Indian Navy, the deputy chief of the United Shipbuilding Corporation (USC) said Friday. 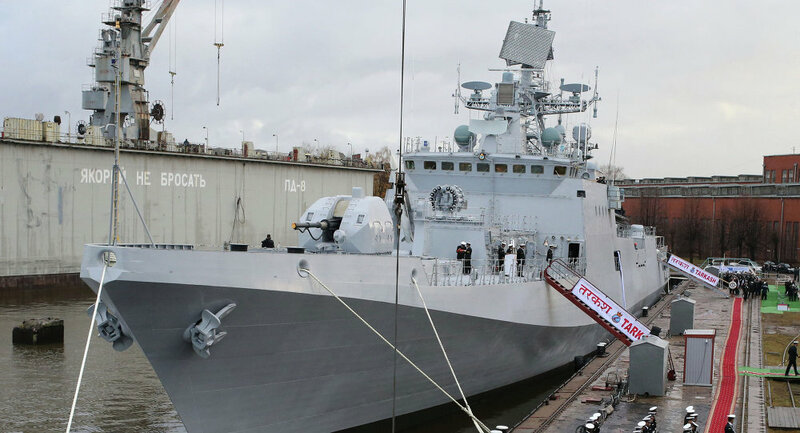 MOSCOW (Sputnik) – India has six frigates of the Talwar class, the forerunner of Project 11356, which are built at the Yantar shipyard in Russia’s westernmost Baltic exclave of Kaliningrad. “The final decision on handing them over to a third country has not been taken yet, but we know that talks involving Rosoboronexport [Russian state-run arms exporter] are in progress,” USC Vice President Igor Ponomaryov told RIA Novosti. The first sea trial of a Project 11356 frigate took place last year in the Barents Sea. The frigate, displacing 3,850 tons, is designed for anti-ship and anti-submarine warfare as well as for air defense missions. It can operate independently and as part of convoys or naval task forces.